The superstructure will be a mixture of aluminum and 3dprinted parts. The aluminum walls will keep the warm air from reaching the printed material and provide stability for the hinge parts. I used a simple boxmodel technique to create the structures and then aligned them with the designs. The final results look like this. 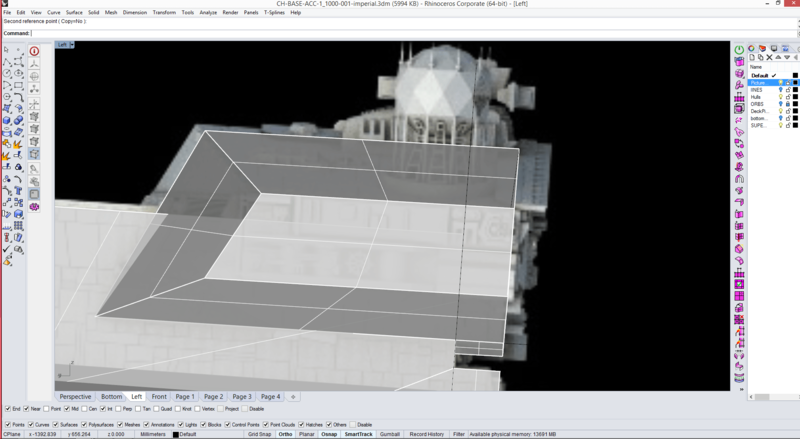 Funny how even a simple wireframe view gets my heart pumping. 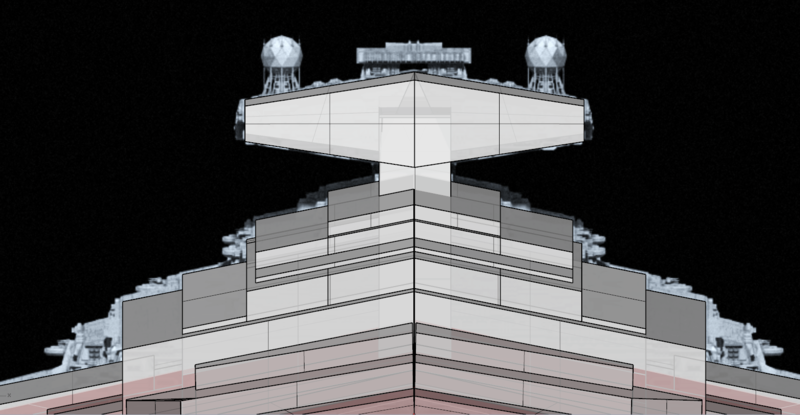 The superstructure has been designed to allow for a layer of greebles thats at least 10mm thick. 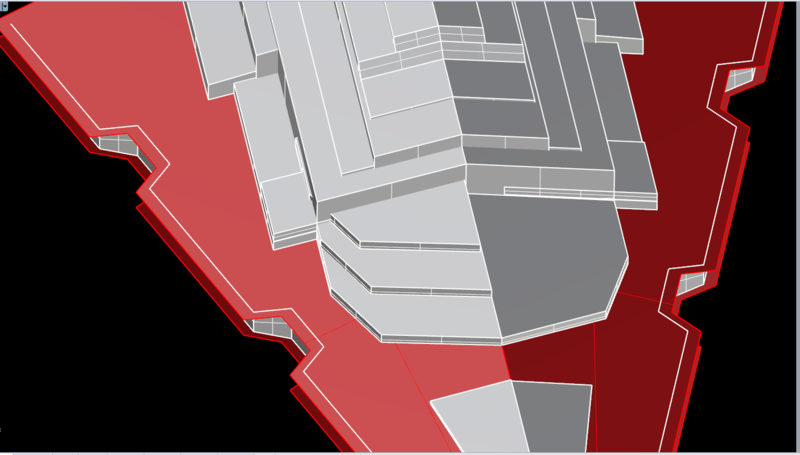 This will allow for enough depth in the views and will work nicely with the lighting. So again simple boxes that create the shape (and can be printed fast) and then cover them with very finely printed parts for the greebles. 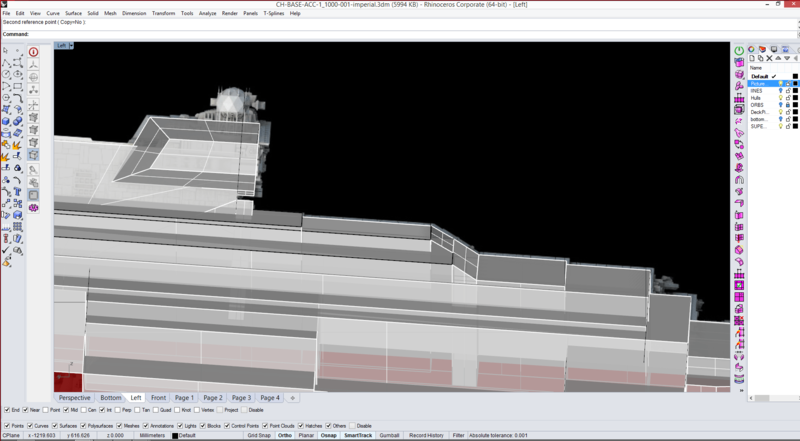 One piece that caught our eye was the demarcation between main superstructure and the front superstructure. In our view the lines just dont add up. Maybe this is a effect from a dead side view as from the front and top is just perfect but it doesnt sit well with us. This is the layout as per the original design. 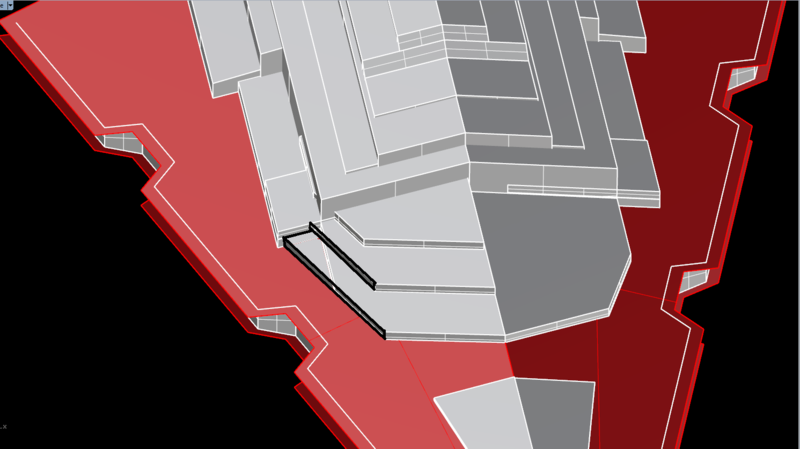 Makes perfect sense if the superstructure was placed ontop of the hulls as a whole, but from the side the lines are not great.